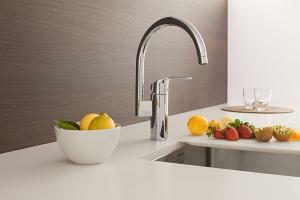 Create a kitchen that the whole family can take pleasurein with the new GROHE Eurosmart. Effortless control,unrivalled performance and temperature-safe operationcombine in a sleek contemporary design. Clean drinking water is essential to your health. 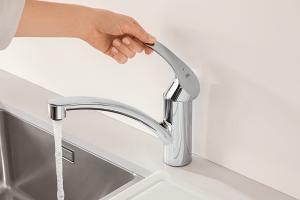 When choosing taps and mixers with GROHE Zero technology, you choose a faucet with a body with maximum health benefits. 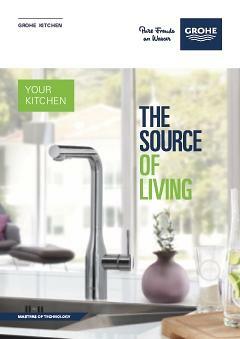 The body does itself not add any lead into the drinking water because of the advanced inner-waterguides. 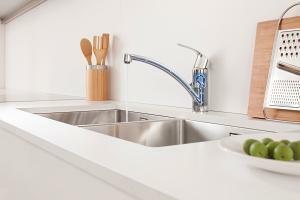 You will find GROHE Zero now already on kitchen mixers with extractible hoses, on the New Eurosmart kitchen mixer, on the New Eurostyle washbasin mixer and other selected products.